We're at the start of what for a lot of folks is the single best reason to leave Calgary during July, so we'd like to provide a small bit of respite with a couple of clips from this great documentary from director Lock Fulton. 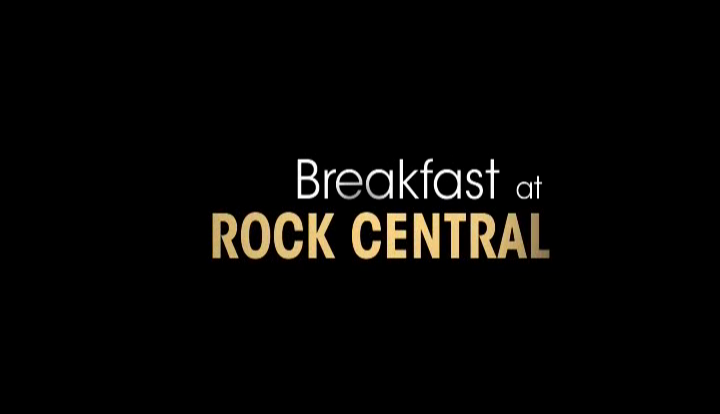 We'd been looking for a way to see Breakfast at Rock Central for a while (we missed the few screenings when it originally came out), so we were happily surprised to find a copy bundled with the Dudes' Blood Guts Bruises and Cuts CD a few weeks ago. This is short, low-budget film tells the story of the legendary Victoria Park party, from the days when the cops were kicking down doors and trying to shut it down to when they'd show up to make sure everyone was safe and having a good time - and let the Dude Bomb get away with being the Dude Bomb. If features all of the folks you'd expect - The Dudes, Matt Masters, Paul Spence and the Infernos/Creep'r, as well as Andy Sparacino and the A Team. We never were cool enough to get to a Rock Central party, so it's a treat to have this to document a time gone by. The version we got turns out to be one of three versions, according to Fulton. This one was edited by a studio in Vancouver, and focused on the Dudes - and happened largely because of their championing the project. An first, extended cut was done for CIFF (Fulton says it was "rushed to the screen to tie in with the building being knocked down"). A third version was done for the 2008 Stampede. Fulton says he has been talking with former A-Team member Dan McKinnon about doing a fresh cut and re-release, which we would certainly welcome.